Kiwi Codes Solutions is a progressive and innovative company based in New Zealand, specializing in the development of Autodesk Revit add-ons that enhance and increase productivity on a day to day basis. In a very short period of time, Kiwi Codes has become globally recognized, with thousands of customers using their products for Autodesk Revit. 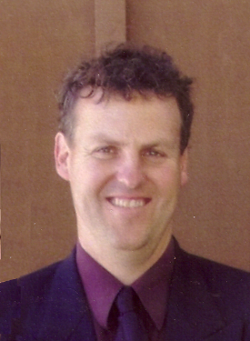 Phillip has had 18 years experience in the architectural design profession, starting as a CAD technician working on AutoCAD version 12, through to 11 years running his own architectural design practice in Central Otago, New Zealand. During this time as a business owner, it became clear to Phillip that to be competitive in today’s market you needed the best tools available and to use them in the most efficient way. This led to Phillip exploring the Revit API and designing tools that provided the much needed productivity boost that was required in his business. Phillip is now full time working in the Kiwi Codes business, providing Revit API solutions for clients throughout the world. After Graduating from Victoria University of Wellington with a Bachelor of Architecture in 2001, Chris initially started working for a small New Zealand architectural firm. It was while working here that Chris started using AutoCAD Architecture 3.3, and extended his studies completing a Bachelor of Information Technology in 2003 finding a particular talent for programming. Throughout his career, Chris has continued to develop his 3D modelling skills, using AutoCAD Architecture 2011 in a large London Healthcare Practice as a BIM Manager, and towards the end of his tenure in London Chris started introducing Revit into the Practice. In early 2011, Chris made the move to a Melbourne firm as a BIM Manager to roll out Revit. Throughout his time as both a CAD Technician and BIM Manager, Chris has always searched for the most effective and efficient procedures to complete any given task. His current knowledge of architectural practice ensures that he is well aware of the existing gaps in workflows to produce documentation. This is where a unique foundation in both architecture and programming allows Chris and Kiwi Codes to produce essential Revit API Solutions for clients worldwide. Alex is currently based Sacramento, CA, in the structural engineering department of a large multi-discipline, construction practice. With his wide breadth of experience and natural aptitude for construction using Revit, he is an ideal advocate for KiwiCodes. Alex began working in the Architectural business in 2003 where he quickly showed a natural ability for creating architectural construction documents. In 2005, he began a new role which involved the development and implementation of AutoCAD Architecture in a large architectural organization. In 2007, he moved to his current position using Revit where his skills in this area are widely utilized. Alex has a broad range of experience working with Revit and seeing where the software needs development. This helps him to speak to clients on a more level base. Alex uses this client feedback to further refine future updates and releases of KiwiCodes addins.